Sanchick came to Falls Church just two months ago, but the Peruvian eatery is already making fans. It's best known for the charcoal-roasted chicken, which chefs steep in the house's signature marinade before slowly searing it over smoky charcoal. The result is juicy, tender chicken doled out whole, by the half, or by the quarter. That chicken also comes stuffed inside of the Sanchick sandwich with lettuce, tomato, and onions, plus fries on the side. Chicken isn't the only item on the menu that's worth tasting. Sanchick also offers other authentic Peruvian dishes, such as lomo saltado. Lomo saltado showcases beef seared with olive oil, onions, tomatoes, and a mix of fresh herbs. 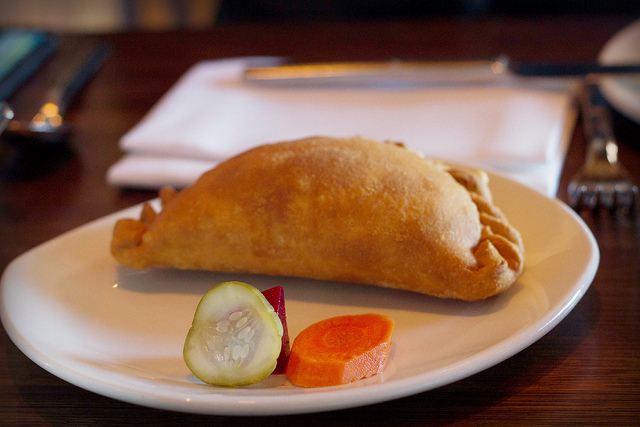 You can also dig into fresh, flaky empanadas stuffed with chicken, beef, or cheese and spinach. Just make sure that you save some room for the Peruvian cookies known as alfajores, which are filled with caramel, or the tres leches cake.